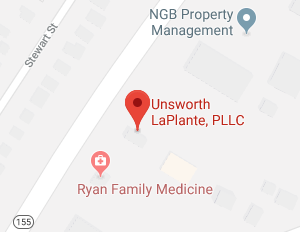 Unsworth LaPlante, PLC is an elder law and estate planning law firm with a long track record of helping clients to use important and versatile legal tools to plan for a more secure future for themselves and for the people they care about most. Planning ahead is vital so you can have a secure retirement, build assets, and protect your growing nest egg. By taking control over your financial future, you can set yourself up for financial security and can change the legacy of generations of family members. You also need to prepare for what might happen if things go wrong by planning for incapacity, addressing end of life issues, and making an estate plan to determine what your legacy will be. Our firm can help with all of this and more. Our compassionate and knowledgeable legal team will work closely with you to understand what your goals are and to use tools like a last will and testament, trusts, powers of attorney, and more. Whatever your situation and whatever phase of life you are in, if you live in the Albany area, you should reach out to our Albany elder law and estate planning firm for help. Albany, New York was the first European settlement within the state of New York. Dutch colonists settled Albany as early as 1614 and built both Fort Nassau and Fort Orange in the area. Albany was a very successful trading region, with fur traders in the area attracting settlers who were able to form a village. Today, Albany has come a long way. The metro region it is within, the Albany-Metro-Troy region, is the third most populated metro region in the United States. This region, which is called the Capital District, is also the 38th most populated metro region in the country. Albany is considered the heart of the Capital Region, and Albany is also the capital of the state of New York. Albany is located just 150 miles to the north of New York City and it lies along the Hudson River. Albany is home to Fortune 500 companies, as well as to several colleges and universities. As of the most recent census, 13.4 percent of the population in Albany was 65 years of age or older. There were also 11.5 percent of households in the city of Albany that were comprised of someone 65 or older living alone. The Department for Aging in Albany County: The Department for Aging in Albany County indicates that its mission is to help seniors 60 and older to “maintain an independent and self-directed lifestyle by providing the highest quality of supportive services to seniors, their families and caregivers.” The Department for Aging provides help obtaining benefits such as heating bill subsidies and nutritious meals. There are also social and educational events for seniors offered through the Department of Aging. The New York State Office for the Aging: This website provides details on local offices where seniors can find support, as well as news from the Office for Aging, publications of interest to seniors, and details about benefits and programs. Programs and services offered include healthy living benefits, preventions and screenings, and details about employment and volunteering. If you come to a point in your life where you require more help than can be provided through community-based benefits and programs, you can also reach out to Unsworth LaPlante, PLC for help finding out about gaining access to Medicaid benefits. Medicaid can pay for nursing home care and for long term care provided at home by a home care service – provided you are eligible for Medicaid. As you get older, you also need to think about how estate assets are transferred if something happens to you. In most cases, assets are transferred through the probate process, which means going to court. If you don’t want your loved ones to have to cope with probate proceedings, you can make advanced plans to pass assets outside of probate using other means such as trusts. Unsworth LaPlante, PLC can help. If your loved one has already passed away, however, or if your family member is physically or mentally incapacitated and needs a guardian or conservator, you may need to go to court. If you do, because Albany is in Albany County, the court you will be going to is the Surrogate’s Court for the Third Judicial District. In New York, surrogate’s courts preside over probate proceedings, including guardianship or conservatorship as well as proceedings through which the assets of a deceased person are transferred. The Surrogate’s Court for the Third Judicial District is located at Albany County Courthouse, 16 Eagle Street, Room 123 in Albany, NY 12207. The telephone number to call to reach the court is 518-285-8237. The court is open Monday through Friday from 9:00 AM to 5:00 PM but is closed on state holidays. 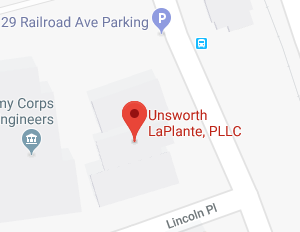 Whether you need help avoiding probate, navigating probate proceedings after death, or addressing the issues that affect your life as you age, you can reach out to Unsworth LaPlante, PLC to find a knowledgeable advocate ready to work on your behalf. It is not just older people we help either — our firm is here for all Albany residents who are ready to make use of the tools available to them to protect themselves and their loved ones. To find out more about how our firm can help you, join us for a free seminar. You can also give us a call at (802) 879-7133 or contact us online to get personalized advice tailored just for you.